We consistently deliver successful solutions by leveraging our vast experience. Our client projects range from corporate TV studios to full broadcast facilities. We can handle small budget projects and large multi-camera environments with ease. Panavid’s talented crew understand the complexities and challenges of broadcast, and always seek to deliver exceptional quality and service on every project. Our team has the experience to understand how mission-critical broadcast studios are, and the importance of maintaining and supporting the project, long after it is complete. 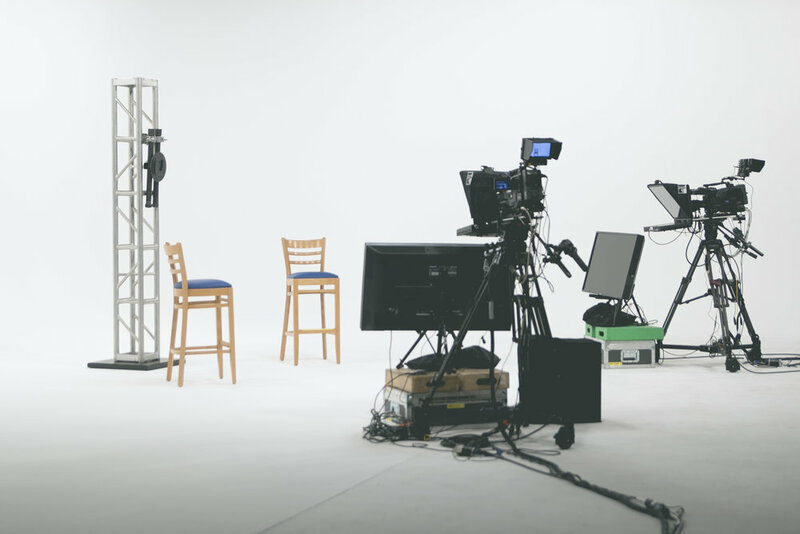 We are able to leverage our rental inventory to support bigger projects or special events that may be outside the normal scope of the day-to-day studio operations. We work with our clients to create the ability to insert and remove temporary equipment for unique add-on situations. We also work with our clients to make sure they understand the newest technology; to know what may be on the technical horizon, so they can prepare for new standards in broadcast and the terminology surrounding a rapidly-changing environment.